Australian environmental groups appear to be reconciled that top Indian business group Adani Group's ambitious $22 billion coalmining lease project for Carmichael may finally have its day. This became clear from a statement by top international NGO Greenpeace following Queensland's provincial government minister Anthony Lynham saying the project would continue. 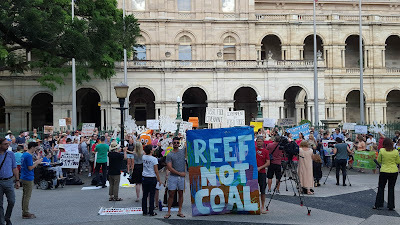 In its statement, Greenpeace said, "The Queensland government’s approval of a mining lease for Australia’s biggest coal mine while the Great Barrier Reef is suffering its worst bleaching in over a decade is indefensible", but did not say what it will now do to stop the project. “There is no question that the Reef is suffering right now. Coral scientists, the Great Barrier Reef Marine Park Authority and even the Queensland Government have acknowledged the severity of this latest bleaching,” said Shani Tager, Greenpeace Australia Pacific’s Reef Campaigner. However, she noted, "The proposed mine would be 28,000 hectares and has already been given a green light by Federal Minister for the Environment Greg Hunt." In his announcement, Lynham defended his decision to grant mining leases for the $22 billion mine, rail and port project, saying its benefits outweigh the challenges - including the prospect of further legal action. Following the minister's statement, there were protests in front of Queensland Parliament by around 150 activists belonging to two environmental groups -- 350 Australia and National Director of the Australian Youth Climate Coalition -- who highlighted how temperatures in the Reef are rising, yet the provincial government is "approving this monstrous coal project,"
“The Queensland government has recognised that the bleaching means we need a rapid reduction in carbon emissions and yet they are approving a massive new coal mine. 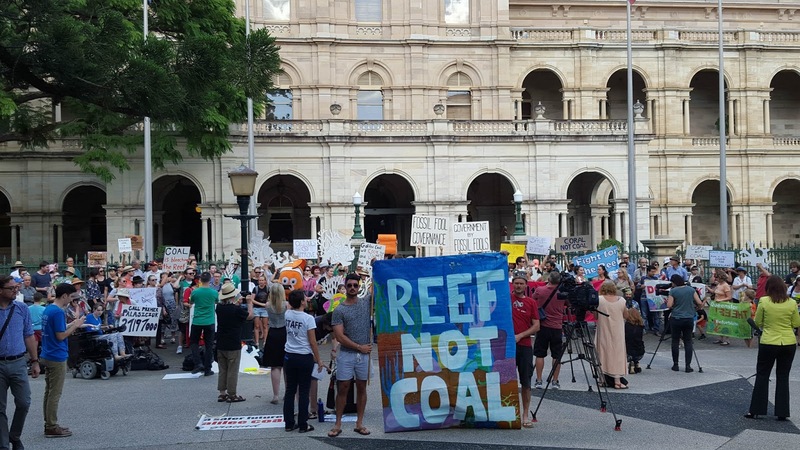 Coal that is exported and burnt overseas is still our problem, it is still hurting our Reef,” said Tager. 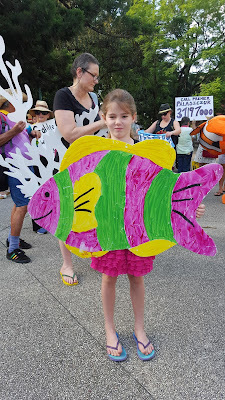 “The federal and Queensland environment ministers are wringing their hands, despairing over the state of the Great Barrier Reef, yet at the same time they are paving the way for the nation’s biggest coal mine - a development that can only harm the Reef", she added. “Protecting the reef and approving the Carmichael mining lease are diametrically opposed. You cannot do both", Tager further said, adding, “This decision is appalling. The Great Barrier Reef is World Heritage --listed because it is a natural wonder of the world, and right now its most pristine areas are suffering from bleaching because the waters are too warm." 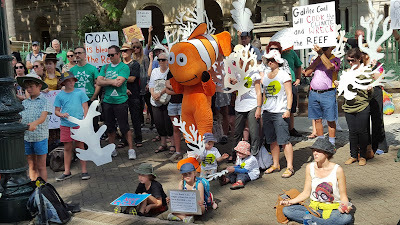 “The Queensland government os supposed to be taking care of our Reef, instead they’re giving coal companies the green light to keep mining and burning coal that is driving climate change and bleaching our Reef,” said Tager. "Despite the Government support, the Carmichael project remains in financial disarray and faces legal challenges as well as a coal market in structural decline", she claimed, adding, “International investors have shunned Carmichael because funding it would be a major financial risk." "If it ever got to full production, the Carmichael coal mine would put 121 million tonnes of greenhouse gas into the atmosphere each year", she said, even as facts came light that the Adani Group faces still faces two separate Federal Court challenges brought by the Australian Conservation Foundation (ACF) and the Wangan and Jagalingou (W&J) traditional owners.